You must make reservations at least 5 minutes in advance of the time at Palm Palace. Let us cater your next event. We will make sure your party will have classic and delicious food - just as if you were dining in our restaurants. Contact one of our catering experts for more information. Palm Palace restaurant has been synonymous with fine Mediterranean dining. The dramatic dining rooms are the perfect backdrop for the menu that showcases authentic Mediterranean cuisine ranging from the simple to the sublime, each offering an opportunity to experience classics and delicacies in new and exciting ways. Every plate becomes a culinary journey that ignites the senses. Palm Palace also features succulent Moroccan dishes, such the Classic Chicken or Lamb Tajen. Enjoy Lebanese-inspired healthy fresh squeezed juices, come in today and treat yourself to the authentic Mediterranean cuisine of Palm Palace. We guarantee that you will taste the difference. Before placing your order, please inform your server if a person in your party has a food allergy. Consuming raw or undercooked meats, poultry, seafood, shellfish or eggs may increase your risk of foodborne illness. Palm Palace never fails to be accommodating, great service, great atmosphere, and absolutely delicious food. The bread is the best. I came here mostly just for the bread. Soft inside, aroma of wheat, goes perfect with garlic sauce. Abdul, our waiter went beyond what was expected and made sure our special requests were fulfilled. everyone at our table was happy and well hydrated. It took two different people to seat us after arriving for our reserved time. We sat there ignored for 15 minutes so we left. Will not be back. Our server was sweet and personable. She was efficient and caring. Servers were attentive, polite, fast and friendly. The atmosphere was fun as well as family friendly. I’ve dined at Eastern restarants for years yet none of them compared to your restaurant. The Palm Palace made me feel special and was well worth the drive from West Bloomfield. The menu covers a variety of appetizers and "typical" Mediterranean dishes, vegetarian, chicken, lamb, and seafood. It would be easy to share a dish as the portions are large; we took home enough for another whole meal! For the table, you get delicious house-baked puffy, warm pita bread! There were some tasty beer and wine choices from Lebanon. There was NO ONE waiting when we arrived at a 545pm but the lobby was PACKED when we left @ 7pm. Make a reservation! We arrived a few minutes early for our 7:30pm reservation - seated around 7:45. Pretty good considering it was Valentines Day. Enjoyed our dinner. Waitstaff was overloaded for the crowd. Otherwise a pleasant dining experience. Palm Palace did a super job of offering a great atmosphere and menu. Palm Palace was a pleasant surprise...the service was excellent, the food was tasty, and the prices were reasonable. It's family friendly, and has plenty of tables. The pita bread was delicious, and cooked onsite in the stone oven. It came with a tasty garlic spread. The meals come with soup or salad, and a choice of potato wedges, rice, or grilled vegetables. The grilled vegetables were awesome. It was my birthday and they made me feel so special. I didn't want singing, but they still brought out cake. Food it's great! Large portions, often good for two. Homemade small pita bread hot out of the often with refills both at no charge. Tasty and authentic. Comfortable environment. Our family loves Palm Palace. Authentic Lebanese cousine, friendly and fast service, generous portions. One of our favorite restaurants! Palm Palace has been our Christmas dinner spot for 3 years now and we look forward to many more! The food didn’t taste great. Not worth to come back and spend so much money on that food. Food was good and the noise level allowed for conversation. Seriously yummy Mediterranean food. The mini pita bread & garlic sauce are outstanding!!! The bread was so awesome. I had the toubulah and it was fresh and delicious. My granddaughter had the chicken wings and she said they was good as a Coney Island's. The food was good and so was the service! 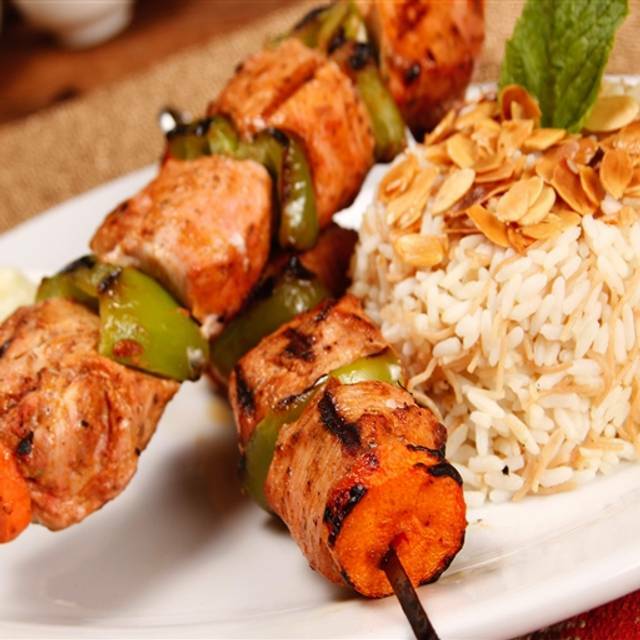 Fabulous Middle Eastern food at unbelievably affordable prices! My wife and I love Palm Palace! This is one of our favorite destinations for special occasions. Great all around dining experience! The food is outstanding and the house black tea is the best that I've ever had. We took my daughter and her friend from U of M there for a late lunch. The food and service were quite good. We had a great time. Would go back and recommend. Great food, great service. Convenient parking. Flexible with requests for separate checks. Great food, love the Cardamom tea they serve in the lobby. Highly recommend for Mediterranean food. This is on our favorite restaurant list. Large portions, tasy not salty, good service, good bread. The items labeled gluten free on the menu are apparently not. They need to retrain staff on preparing and serving gluten free meals. go back when we visit again. 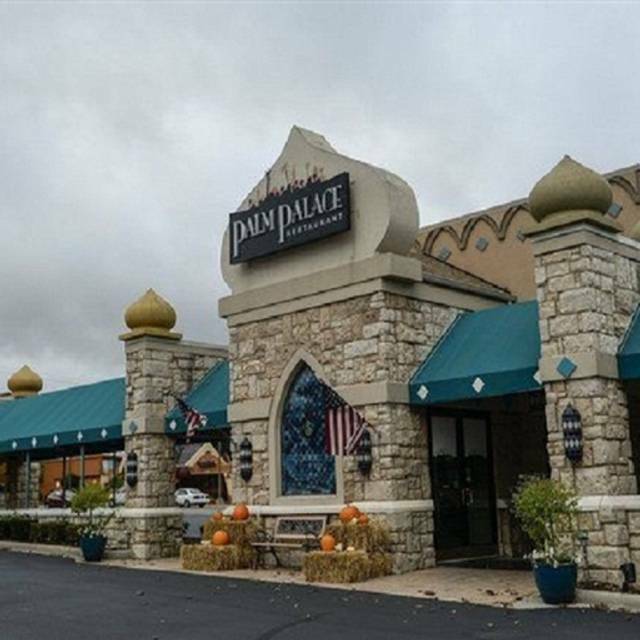 There aren't many Middle Eastern restaurants outside Dearborn that are really good. I think you need to be in the culture to really get the soul of this cuisine. But, Palm Palace seems to get it. This is a traditional Middle Eastern restaurant, in all the best ways. The falafel patties are amazing: fried, yet light. The mixed pickles are perfectly seasoned. The hummus and the garlic paste are buttery and rich. The fattoush portion was enormous, topped with beautifully charred chicken breast. The chicken shawarma wrap is a bargain for $4.99, but a bit dry. And, the service from Hoda was good...or, as well as she could manage considering how overloaded with tables she was. As the dinner rush set in, things started to come out slower and slower. We had to ask twice for coffee. But, she was such a sweetie that I can overlook that. Fortunately, the freshly brewed coffee was worth the wait. But, the cups are the kind with the overly small handle, so your hand cramps up after a while. The baklava was dense and crispy without being too sweet. But, the custard was extremely sweet, though it still tasted so good that I kept going back for more. I won't go back for more rice pudding: it had a weird taste to it. I will happily meet my brother here again. Delicious! 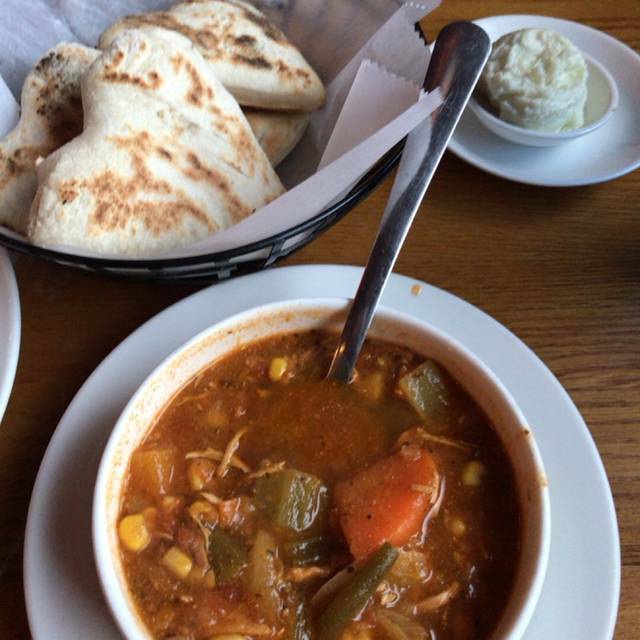 So much easier than driving to Dearborn for great Mediterranean food. Good food, huge portions! Be ready to bring some home. Love that they have added back the Chicken Sajee back to the menu. We had not been going there because it had been discontinued. Wish they had kept both the beef Sajee and the lunch sandwich in pita. We are coming back! This was our first time here. Food and service are awesome. Lots of picks from menu....We plan to try them all. This was our second time to Palm Palace and it was another great experience. The service was great (Preston was our waiter and was probably one of the best waiters I have ever had in a restaurant), the food was delicious and the bread and garlic spread was irresistible. We drove about an hour to meet friends there and I would be willing to drive that just for dinner. Preston did an awesome job. Food and service was great. My folks love this place. The Pan bread machine was down; a must try.